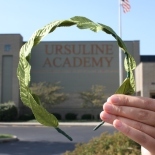 Ursuline Academy is an independent, college-preparatory Catholic high school for young women in grades 9-12 founded by the Ursuline Sisters of Brown County, Ohio in 1896. 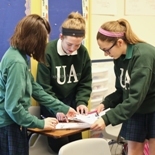 Ursuline has a diverse student population of approximately 660 students representing over 50 zip codes. 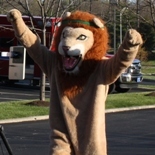 Ursuline offers a rigorous curriculum specifically designed to prepare the student for college and beyond. 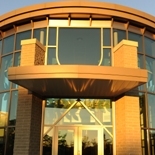 In the spirit of our foundress, St. Angela Merici, and her vision of educating and empowering young women, Ursuline Academy of Cincinnati developed The Merici Model of education: a uniquely student-centered approach to learning. Through this model, we provide a culture where students are empowered to learn through their choices. 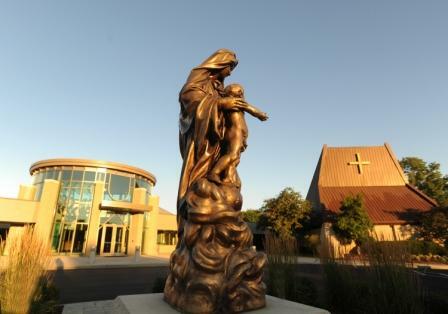 This is enhanced by the Merici Schedule and the design of our campus. In keeping with our mission of nurturing a student's soul, intellect, heart, and imagination, Ursuline offers a wide variety of co-curriculars. Our student-led clubs and organizations reflect Ursuline's commitment to a community that is shaped by our students' passions and interests. Tuition for the 2018-2019 academic year is $13,299. Financial Aid is available to students who qualify.